Yesterday, I went further down Jalan Tuanku Abdul Rahman to see my tailor. It was around lunch time and it started to pour heavily. The tailor I go to, Astor Tailor, is located in the same block of building as K.S. Gill (specialty shop selling all kinds of pen) and I was basically stuck due to the rain. I then noticed that the end shoplot is a Penang Nasi Kandar Restaurant. Since I could not go anywhere else, I decided to check it out. The first thing I noticed was a newpaper review done on this restaurant. It must be good. 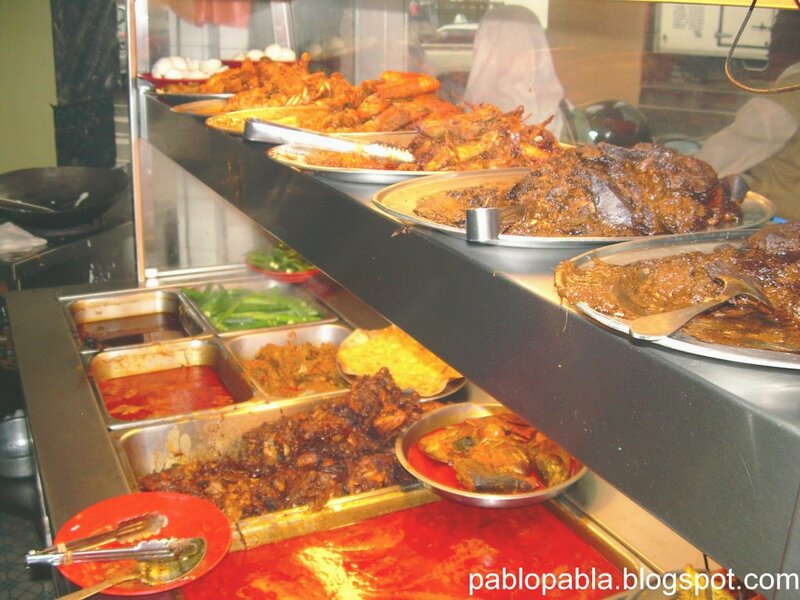 Why else is it recommended as one of the top 5 places to have your Nasi Kandar in Malaysia? Let’s get started then, shall we? 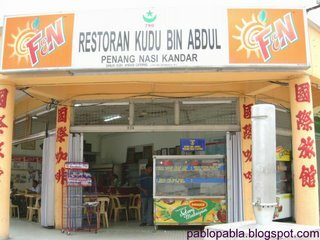 This is Nasi Kandar Kudu bin Abdul. It is run by an Indian Muslim lady and appears to be a family business. Apparently, this family also runs the famous Nasi Kandars in Penang, the home of Nasi Kandar. Nasi Kandar is essentially white rice which comes with your selection of meat – chicken, fish, mutton, parts of chicken (neck, gizzard etc), crabs, prawns, fish roe, sotong and if I am not mistaken, beef lungs. 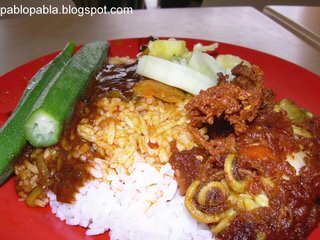 What sets this Nasi Kandar apart from most other white rice dish is that upon placing the meat on the rice, the waiter / cook will pour a variety of curries over the rice so that the rice will have a most unique curry taste. I had the Nasi Kandar Ayam Kicap (Chicken in Dark Soya Sauce). The chicken drumstick / thigh is quite big in portion and tastes great. Has a nice hint of spice to it and not overpowering. It must be the family’s secret recipe. The meat is well-cooked though I would have prefered it slightly juicier. My Nasi Kandar Ayam Kicap comes with three pieces of steamed / boiled ladies fingers which were really tender, yet crisp to the bite. A couple of slices of cucumber and papadoms completes the dish. 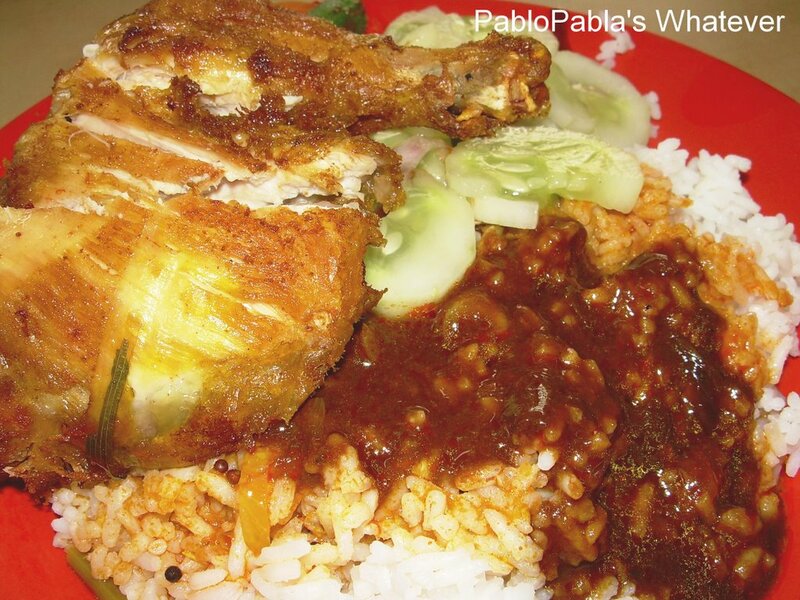 A plate of Nasi Kandar Ayam Kicap costs RM5.00 and is money well spent. You can always ask them to go easy on the curry but let me tell you, the mixture of the curries is the highlight! By the way, the curries are kept warm by the warmer underneath. Nothing beats warm curried rice on a rainy day! 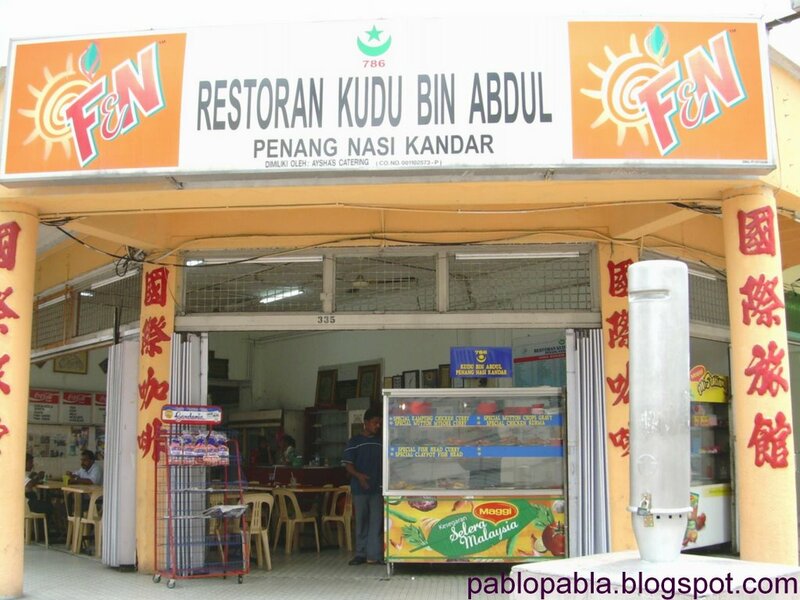 Nasi Kandar Kudu bin Abdul is located at No. 335, Jalan Tuanku Abdul Rahman, 50100 Kuala Lumpur. They are open everyday till about 8.30pm. To get there, go to Maju Junction Shopping Centre along Jalan Tuanku Abdul Rahman. You will see a traffic-light cross-junction and Centrepoint Hotel across the junction. Walk across to Centrepoint Hotel and walk further down till you see Commerce Assurance Berhad. Nasi Kandar Kudu bin Abdul is across the street. hmm.. RM5 for a lunch at Nasi Kandar restaurant sounds great to me! usually a meal will cost me at least RM8. It reminds me of the best nasi kandar i tried. it was at Penang itself. The Original Penang Kayu Nasi Kandar. Nasi Kandar, this is. Then what is Nasi Campur and Nasi Padang? You should help me answer my post questions on Nasi Campur, Nasi Padang etc etc…. tekko : Yes. It is very reasonable indeed. Keropokman : Just need to watch the tummyline 😉 By the way, thanks for the link-up! i need a video toooooo. just to make my presentation become gempak!!!!!!! 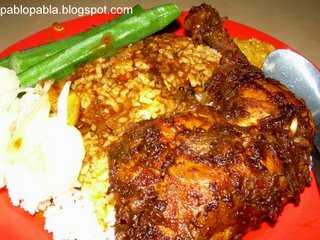 actually ive never been tried for nasi kandar in my whole life…..since this project have to be done… it has become a challenge to me to try for nasi kandar. 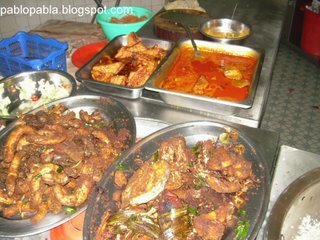 plz….those who can find the best video of nasi kandar plz submit to my email asap…. just visit this kudu last saturday. we went w/whole family. the best in town as i see it. after all the hype, I actually went down to try it out myself yesterday. being a penangite/kedahan who is born and bred with nasi kandar, I can’t say that this is the best nasi kandar I’ve ever tasted. Cheap, yes (fried tenggiri fish + fish roe = RM7), but just bland; slightly above mediocre. u can find better (albeit pricier) nasi kandar along nearby Jln TAR. Or if u r in for some adventure, head down south to Glenmarie, Shah Alam where NK Raihan is. Their ayam ganja is a must-try. Ah Pek: Wahh…Bak Choy only ah? after 5 years.